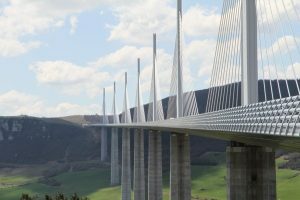 Creating combined OT and IT environments can be similar to engineering a bridge that’s both safe and effective. In the case of the Tacoma Narrows Bridge, the desire to meet a particular goal blinded the architects to the real requirements of the situation. The pinpointed focus on flexibility, and lack of taking vertical wind movement into account, produced an environment that was doomed to failure. OT and IT managers alike should take this as a lesson when combining their environments. They need to make sure there are no inherent flaws in the design of their combined IoT projects. To achieve the right architecture, one needs to understand the conditions and requirements of the environment and design to those requirements. Don’t pick a technology and try to force it on the situation. Let the requirements drive the selection of the technology. In combined OT/IT IoT, it must include security, reliability and communication availability. As pointed out in my previous blog, “How OT managers can improve their batting average,” the information derived through IT working in concert with OT systems offers businesses advantages never before realized. But, in spite of the benefits, companies hesitate integration due to the significant challenges involved. As OT and IT are often handled by separate organizations with different requirements, backgrounds and skill sets, an effective merge requires careful analysis and planning. Also, operational technology often runs vital aspects of an infrastructure. Therefore security, reliability and availability are key issues that must be addressed. Implement and support highly specialized control systems for nonstop availability of critical applications. Many control systems are unable to be taken down even for maintenance. Support large-scale, complex systems, often relying on standards-based networking and computing to connect systems from multiple vendors. Environments are often highly distributed or geographically dispersed. Tend to be more centralized, focused on a specific data center. Often need to deal with distinct regulatory or labor challenges. May have virtualized or cloud implementations already. The goals of supporting nonstop systems and highly dynamic, heterogeneous, multivendor environments may seem mutually exclusive. The sharing of resources brings with it security risks. Scalability, availability and security loom as major challenges to a converged OT/IT environment. But while it is challenging, it is not impossible. A hierarchical intelligent systems architecture, tiered to provide high modularity and autonomy for components, addresses the stringent needs for scalability, availability and security in IoT environments. Using this layered architecture, OT and IT can be successfully merged to deliver a unified IoT architecture that takes advantage of their combined proficiency and knowledge. As depicted in the figure below, this type of layered architecture is composed of distinct device, gateway and data center or cloud tiers. The device tier includes intelligent endpoints, such as IP-enabled meters, sensors, displays and actuators. The data center or cloud tier includes smart applications and services that manage and automate industrial control processes and workflows. The gateway tier acts as an intermediary between the device and datacenter or cloud tiers. IoT gateways are the cornerstone of the converged OT/IT architecture. Specifically designed to close the gap between devices in the field and centralized business and enterprise applications, IoT gateways optimize intelligent system performance by gathering and processing real-time operational control data at the network edge. In this model, data from the devices can be controlled and secured, and data center-level computing can occur closer to the edge. This opens up the possibility of implementing real-time analytics via machine learning, providing insights promoting innovation and business efficiencies. IT at the edge affords the compute and communications capabilities required to process, analyze and produce insights in real time. And it does so where the information is needed most, with delivery immediately back to the point of actuation. The internet of things is transforming OT with new IP-based operational control systems that can help businesses improve costs and increase automation. By aligning and unifying OT and IT infrastructure, systems and practices, enterprises can improve efficiency and optimize business decision-making. The challenge to integrating these environments can be met when businesses address both the technological and organizational requirements. A tiered intelligent systems IoT architecture can address many of the technological requirements, particularly in the areas of scalability, availability and security. But just as bridge construction doesn’t happen alone, at Red Hat, we work with an ecosystem of partners, like Eurotech and others. With them, we build solutions that can help enterprises align their OT and IT, and begin to transform raw data into meaningful, actionable information that can increase productivity, simplify decision-making and improve business results.